TWS provides you the opportunity to learn so much. You get what you put into it, but especially love for what you can achieve. I would highly recommend it. This school was everything my last welding school wasn’t. i started welding my 11th grade year, 2 years ago@ a techinical school in Americus GA. i already knew the basics. To run a stringer bead, 50% overlap, & a how to fail a plate test. Although, i did pass 1 bend in GA, i failed like 4. In phz. 10 i passed all my bends cleans first try, thank God. i finished the PPW program like a month ago, & had the beautiful ceremony a weekend ago. i already had a job in phz. 8 in GA. I’m currently still in Jax, FL attending TWS for my Pipe fitting profession. I’m in love with this school man, so glad i can say I’m a Alumni from the best welding school IN THE WORLD! Thank you So much TWS staff. In my vision i see tulsa a school drivin by the passion of its educators , whom are real life products of the working industry. Eager to shed light on the knowledge in wich they have aquired to hopefully one day better the industry. Vicariously re examination of teachers own past can only come to mind as every step and question is so effortlessly answered and made sure to be understood by all. Everyone is happy to be in this high energy environment where we all work towards the common goal of bettering not only our lives but the lives of others! The career services department works tirelessly to help you find a job after the expirienced and knowledable instructors teach you just about everything you could ever want to know. The instructors make this school worth going to! The overall experience was overwhelming. 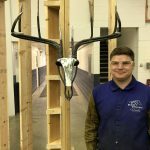 This program helped me train and learn the fundamentals of welding from scratch. The instructors are the best teachers anybody can have. I have already recommended 2 of my high school friends that will be attending soon. I also met great influences that will remain in my life forever, Thank you TWS! The program is awesome! 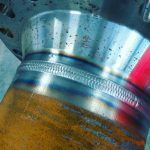 I thought I knew all about welding until I joined TWS. The instructors are very helpful and hands on. What you put into it. I completed the AOS program in December 2012. Hands down best decision I’ve made! If anyone was debating whether or not to take Tom Moffit’s class I highly recommend it. I completed my 7months Journey 3wks early. I had great instructors who were thorough in teaching me/ the class what we needed to know to succeed. During my last phase (aluminum) my instructor took the time to go one on one with me because I was having trouble but, once I got it there was no turning back. I succeeded in all of the welding positions as well as welding with both hands. I would even practice welding with my eyes closed to focus and rely on balance, timing, and sound. That came real handy out in the field. As I was finalizing my paperwork at the end of my Journey with TWS I was hired over the phone by a company based out of Lawrence Massachusetts which led me to be hired by an even bigger company based out of Newark New Jersey. I was hired by both companies because of my welding skills and my performance. I’m completely and totally grateful for Tulsa welding school providing me the education I needed to succeed in the world of WELDING! God Bless! Within the week I’ve been here at TWS I have learned a lot. I never thought about welding and I’m glad I decided to come here. The instructors are excellent. The curriculum is extensive and comprehensive. The instructor for the morning and afternoon classes is thorough and teaches in a way that is easy to understand and is willing to answer all questions that are brought up. I am intending to take my cwi after completing this course and i am confident that i will be fully prepared. I started school in July of 2016. I new nothing about welding but worked hard to learn all that I could. 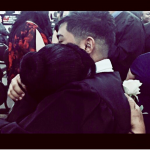 I ended up graduating Top of the Class with a 4.0 GPA and 6 top ones because of how hard I worked. You can learn if you apply yourself to everything everyday. The instructors are Excellent and know what they’re doing! The office people on the other hand are worthless. They did nothing to find me work after graduation. Even after I repeatedly went in and asked. If they fired the entire student services staff who are supposedly there to help you land a job, they could lower your tuition greatly. I did end up landing a job pipelining, but only by me being persistent and calling around. Don’t expect any help from the school for jobs. If you want something, you gatta do it yourself. It was a great experience! I’ve learned a lot coming out of there. The instructors were really great teachers, they made it easy and fun way of learning! Haven’t found a job yet down were I live looking to go somewhere else where’s there opportunitys. The program is very informative…. great experience! I think this was a wonderful program it has givin me the skills and knowledge to get a goos job. I lile the fact that i con go back to keep my skills fresh. The instuctors really do want to see you succeed. It was nice to be able ro go to any of them for help. It is a great welding program, the small classes help by giving the instructors the chance to help the students one by one. All teachers have experience in the field and thats a great thing about them because they are able to give students advice and tricks to make it easier and give them and understanding of how really is out there. There is some minor changes that should be made for example booths that need light or the work tables but other than that it is a great school with awesome instructors and staff.